New! I know, I know. 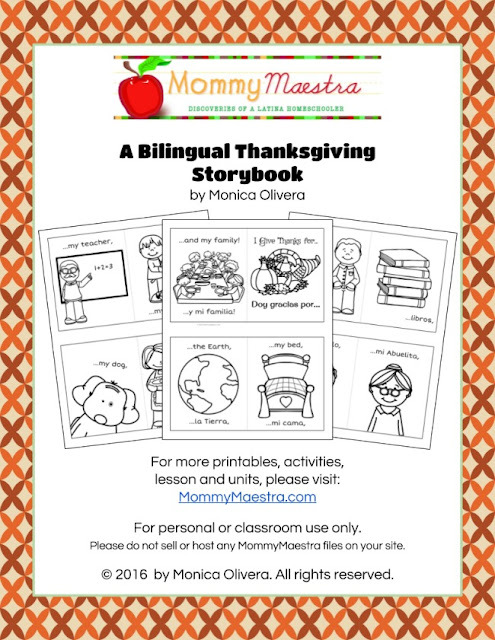 It's a little late for this year, but I just loved creating this Thanksgiving-themed storybook. It's all about things for which children frequently give thanks. This printable is available with three books: 1 in English for ELLs, 1 in Spanish for Spanish learners, and 1 bilingual storybook with text in both languages for bilingual students. They are easy to assemble; just print and cut in half, stack with the cover page on the outside, and staple in the middle. Your students can then boost their vocabulary while coloring the pages. You can find it in my TpT shop here.